Health Education senior Hahnah Saroff knows that to live a healthy lifestyle, it takes more than the physical aspect to benefit you positively. Hailing from Lake George, New York, Saroff chose to attend Castleton after a quick visit to campus where she was able to meet members of the faculty. Saroff works closely with Education Professor Katy Culpo who challenges her to step outside of her comfort zone both in and out of the classroom by applying all that she learns through teaching others. She continues to shadow and observe different teachers in her field every semester, each with their own teaching style and organizational techniques which Saroff hopes to use towards her own career. 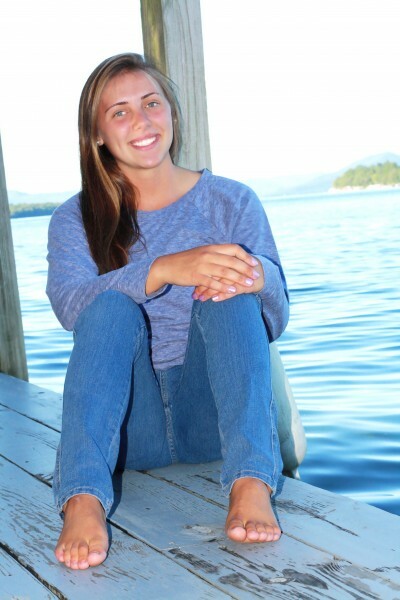 In October 2016 she received the Outstanding Future Professional Award by SHAPE-VT.
A member of both the Castleton Cross Country team and the Nordic Ski team, Saroff was awarded the MVP of the ski team’s ’15-’16 season. She also spent her time coaching a youth basketball team where she taught the importance of team and game skills, as well of life skills such as teamwork and sportsmanship.